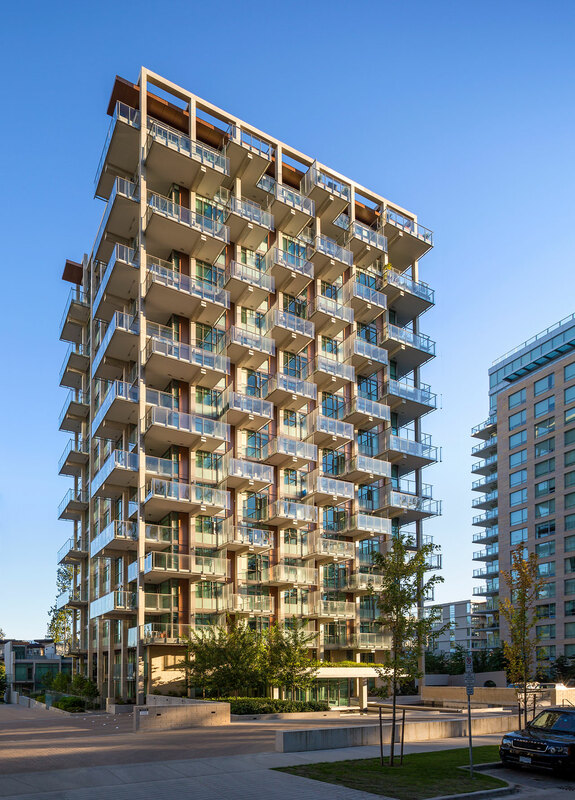 SAGE at the University of British Columbia community of Wesbrook Place emphasizes the integral link between outdoor and indoor living to foster a stronger connection with nature. 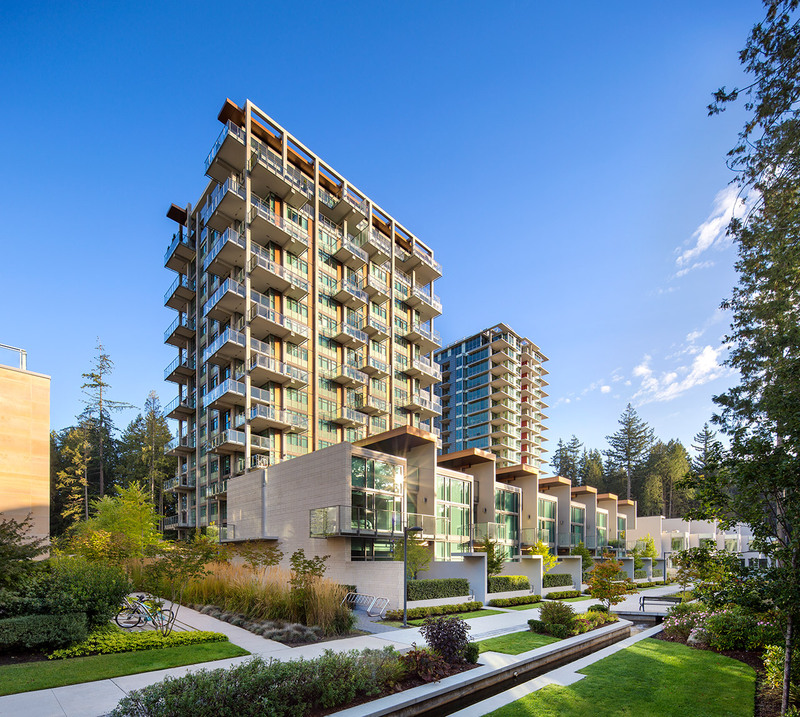 Staggered family-size balconies provide residents with natural light and stunning views of Pacific Spirit Regional Park, the vast old-growth forest adjacent to the development. 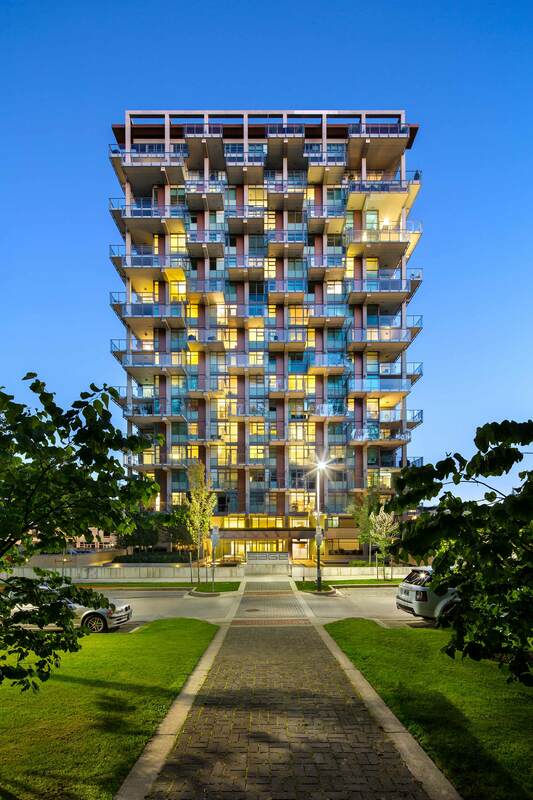 Comprised of an 18-storey tower and seven townhouses, SAGE brings 115 new homes to Wesbrook Place. 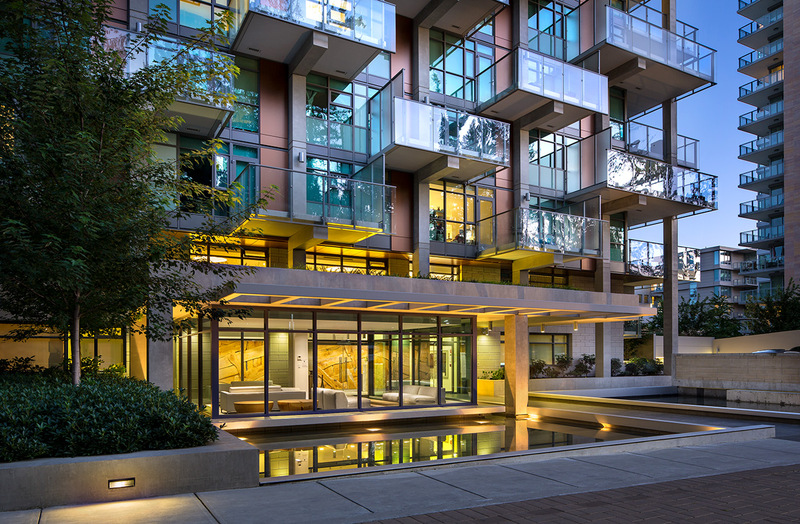 SAGE integrates several sustainability features including a storm water retention tank for landscape irrigation, a highly efficient mechanical system for heat recovery, and FSC certified wood flooring. 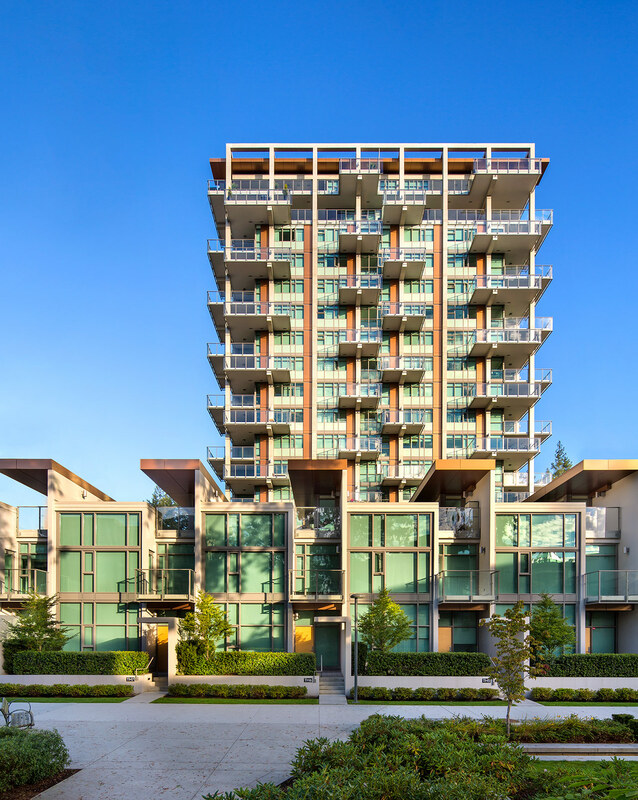 The pedestrian-friendly community, which has all the amenities of an urban lifestyle, is designed around the innovative uses of public space and environmental stewardship.